Evocateur of the possible and advocate for the wild, Laura Larriva Page blends her deep love of archetypal and developmental psychology, dance, mythology, poetry, ecology, and the study of pan-cultural transformational learning into powerful, embodied explorations of deep purpose. All designed to coax the whole human experience back from cultural exile, and to catalyze seismic shifts in the lives of leaders. 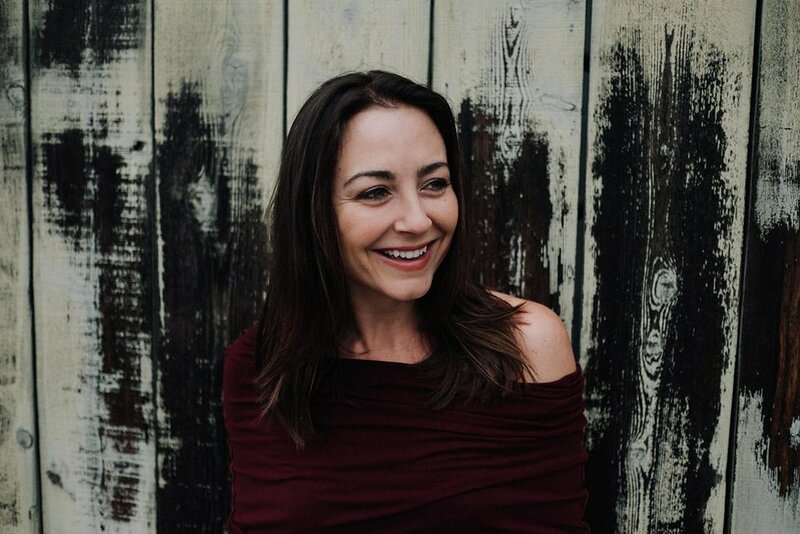 Laura spent the first act of her professional life as a somatic movement educator and performing artist, guiding women at the world's largest dance and yoga events and festivals. She was a pivotal influence in bringing alternative forms of conscious movement to mainstream audiences, and has presented at some of North America’s top centers for consciousness and transformative learning including; the Esalen Institute, Omega Center, Kripalu Center for the Yoga and Health, 1440 Multiversity, and the Banff Centre for Arts and Creativity. You may have seen her on the Wanderlust main stage, on the cover of Yoga Journal, or speaking about the power of play at TEDx Women in New York. Passionate about visionary leadership, Laura draws from her extensive experience as a serial entrepreneur & innovator, writer and artist in her work guiding and mentoring emerging women and organizations. Her writing has been published in Yoga Journal, Wanderlust The Book, Origin Magazine, and The Urban Howl. Some of her clients have included The Bulletproof Training Institute, Wanderlust Festival, Google, and Prana. Laura is an ICF certified coach (ACC) and has trained in both process-oriented coaching through the Global Coaching Institute and developmental coaching through Coaches Rising. She is currently completing a PhD in psychology exploring culture, consciousness and depth leadership with Jean Houston and has extensive training with Bill Plotkin in nature-based transformational development. She serves on the board of directors for The Animas Valley Institute and is a member of the International Coach Federation. What drives her everyday is a combination of the extreme urgency of our time, and a vision of the possible human who can help midwife us all into a thriving future. Laura has a divergent and interdisciplinary set of skills having lived a life guided by curiosity, travel, and passion - always with one foot in the arts, and one foot in the world of business. She has worked as a copywriter, a project manager and an art director. She's steeped herself in the mysteries of the body as a somatic educator, dance instructor, and performing artist. She's built an internationally-recognized personal brand under an alias name. She's written, produced and starred in a yoga and hoop dance instructional DVD, has written and published poems and articles in books and magazines, and has co-founded multiple for-profit organizations. She is rarely bored. Laura has traversed the Grand Canyon from rim to rim with a backpack four times, has a deep love affair with the wild lands of southwestern Colorado, and still feels at home in Grand Tetons and southern Yellowstone (though she hasn't lived there for years). She regularly has conversations with the crows outside her window. Nonformal Ways of Knowing - I've spent a lifetime cultivating divergent streams of intelligence that I feel are absolutely critical now to meet the complexity of our time. These ways of knowing include the sensate wisdom of the body, emotional intelligence, and feeling-sense (to get an 'inner read'), the deep or mythic imagination, and our capacity to see and track patterns. Feminine Leadership/Power - Our world is shaped by just as much uncertainty as there is certainty. Our best projects and innovations arise most often out of a space of not-knowing. Leading from the archetypal deep feminine is a place-holder term for cultivating our capacity to lead from the unknown, in the midst of uncertainty, with Mystery as an ally. Systems Thinking - To think systemically, or ecologically is a way of moving in the world, and in leadership, that acknowledges the widest possible network of relationships that comprise our field of impact.